Installing or need cellular & Wi-Fi signal booster installed in your rental property building? Submit info for quote to install cell phone signal booster kit nationwide by a certified installer. Why install a Wi-Fi and cellular signal booster in your rental apartment property or office building? Attract and retain more good wireless-only tenant households and businesses by meeting their ever increasing demand for cellular and data coverage within their apartments. Being a certified install contractor for cell booster systems, SignalBooster.com is the leader in signal booster industry and has provided Wi-Fi and cell phone signal booster installation services to real estate property management industry businesses to successfully resolve the lack of strong WiFi and cellular reception throughout their properties. Have you had such a signal amplifier system installed at your premises? If your customers and yourself experience wireless reception issues on your business property, you will not find a more experienced installer of signal boosters. We have installed at real estate property management businesses to help them make the most of their mobile telephone plus wireless broadband Internet services. Real Estate Property Management Solutions. It is very important for landlords to meet their tenant's demands for a perfect indoor cellular and data coverage. Providing 100% connectivity to your tenants is an absolute must. 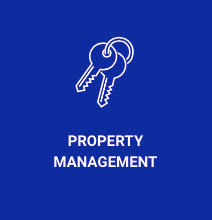 Property managers are asked many questions by prospective tenants; questions relating to security features, luxury amenities, and particularly about the quality of indoor cellular reception. Tenants today expect reliable cell coverage; how property managers answer this question can make or break a mortgage contract or a new lease agreement. When there're many tenants using multiple mobile carriers within a building and engaging in heavy data and cellular activity, the network can easily overload. This unfortunate situation results in unhappy, complaining residents, not to mention the fact that an overloaded network could potentially compromise a cellular security system. Why Property Managers Should Install Cell Phone Signal Boosters and Wi-Fi Signal Boosters. Since it is the job of property managers to attract and retain tenants, it is imperative that they are able to offer them not only a secure home, but amenities they can rely on – this includes a decent cell phone connectivity and freedom from dropped calls. Even within a multi-residential complex, cell signal boosters are capable of amplifying weak signals, or even blocked signals, and bring them inside the building - ensuring that all units have reliable coverage. In addition, having a better cell signal supports cellular-based security systems, such as motion sensor lighting and entry gates. It even improves the day-to-day administrative tasks in regards to processing rent. What to Expect from a WiFi and Cell Phone Signal Booster? We know that most people own a mobile phone, and it is up to realtors and property managers to meet the demands of increasingly tech-savvy tenants when it comes to their safety, their convenience, and their comfort. Our commercial and industrial 2-in-1 Wi-Fi and cell signal booster uses antennas to enhance reception of all carrier networks in USA & Canada, ensuring that all tenants receive improved call quality, better coverage and faster data transfers. Having great cell coverage makes your property very competitive on the real estate and rental market; in addition to improving security and streamlining operations. But more importantly, cell reliability creates a better living experience for your tenants. We Provide Solutions for Poor Cell Signal Reception for Real Estate Owners or Managers. We work closely with our partners, WilsonPro and SureCall to provide comprehensive real estate property management solutions. We sell cell phone signal boosters and WiFi signal boosters made by these companies. We have Wilson Certified Installers and a SureCall Certified Installers ready to take on any size WiFi and cell phone signal booster installtion task. We excel at providing the best possible solution to the problem of weak cell signal reception faced by tenants across the country. We have worked with hundreds of property managers and landlords to deliver an effective cell signal and Wi-Fi signal booster solutions. We do a site survey first, design customized booster solutions based on the requirements of the tenants and then proceed with the Cell Phone Signal Booster Installation and Wi-Fi Signal Booster Installation. We take on projects of all sizes big or small, and have custom fit solutions for each. We ensure that our work is completed on schedule and within a set budget. Submit your details for a signal booster installation quote, today.